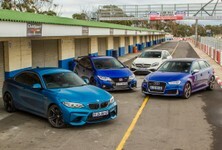 Both are five-door hatchbacks. Both feature all-wheel drive. And while the Mercedes-AMG has more power, the Audi hits back with a lighter kerb weight. 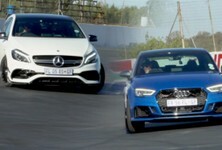 Can the A45 continue its winning streak or will the RS3 be the new champ? Let’s see how it plays out over a 380-metre drag race.